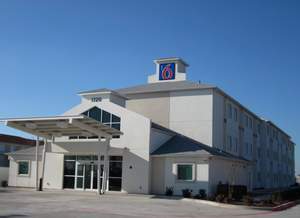 DALLAS, TX--(Marketwire - January 21, 2011) - Motel 6, known for providing guests with a clean, comfortable room and great service for the lowest price of any national chain, announced the achievement of a major company milestone with the opening of the network's 1,100th property. The Motel 6 and Studio 6 network has seen aggressive and consistent growth since the opening of its 1,000th property just two years ago in January, 2009. The landmark 1,100th property was celebrated with the opening of a new Motel 6 franchise in Cleburne, Texas. Motel 6 achieved the goal largely through a multi-year period of aggressive franchise growth in which the tested and successful Motel 6 and Studio 6 business models attracted a record number of prospective franchisees to the brands. The company will continue to expand aggressively and selectively while respecting its commitment to quality across its network. "The continued success of the Motel 6 and Studio 6 brands demonstrates what strong focus can accomplish when combined with a network-wide focus on improving and maintaining quality, consistency and great service for our guests," said Olivier Poirot, CEO for Accor North America, Motel 6 and Studio 6. "We are very proud, along with our franchisees, to offer the excellent price value of Motel 6 and Studio 6 at more locations than ever for our valued guests." Motel 6 offers the lowest price of any national chain at 1,100 company-owned and franchised locations throughout the United States and Canada. For 24 years, Motel 6 has used the tagline, "We'll leave the light on for you®," earning the chain the highest brand recognition in the economy lodging segment. Motel 6 was the first national pet friendly chain, welcoming pets since 1962. Standard amenities include free local phone calls, no long distance access charges, free morning coffee and cable channel line-up with premium channels including HBO, ESPN/ESPN2, and CNN. Most locations offer Wi-Fi Internet access, swimming pools and guest laundry facilities. For more information, visit www.motel6.com.